This painting was originally used as a book cover. 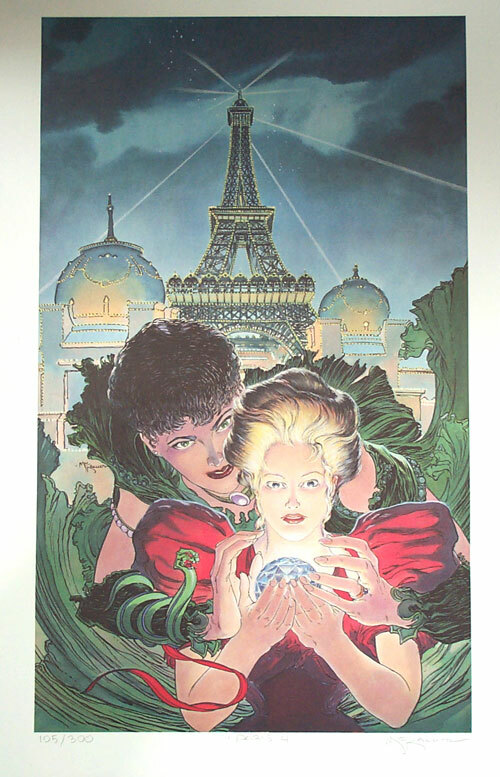 This magical image shows a fantasy Paris with the Eiffel Tower and imaginary domes in the background, with two figures and a crystal globe in the foreground. Signed and numbered from an edition of just 325 copies.